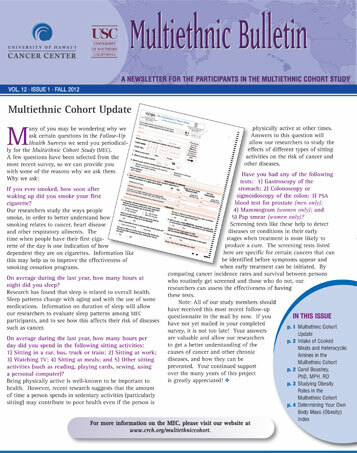 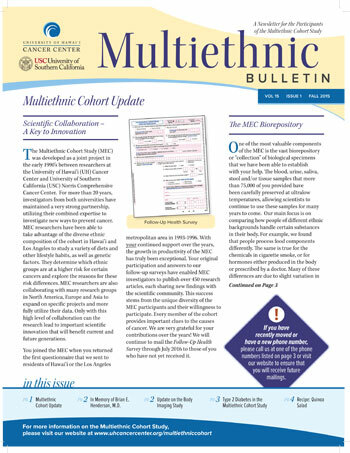 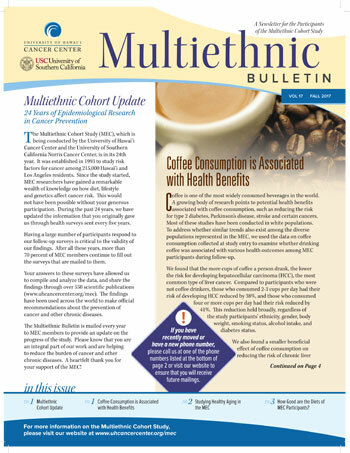 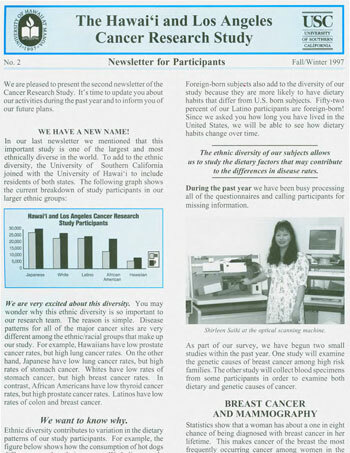 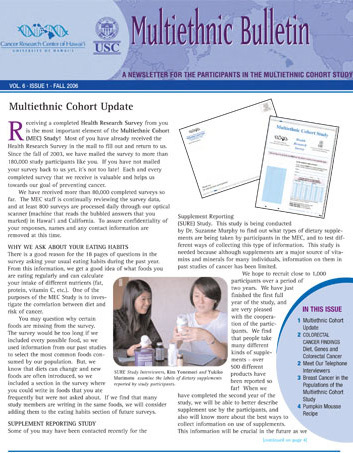 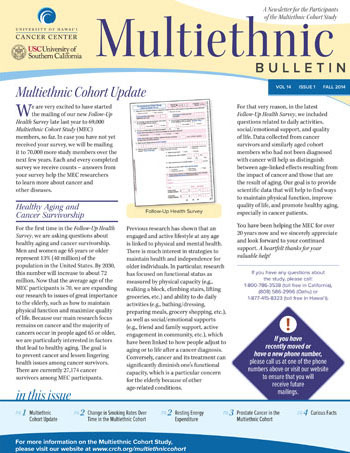 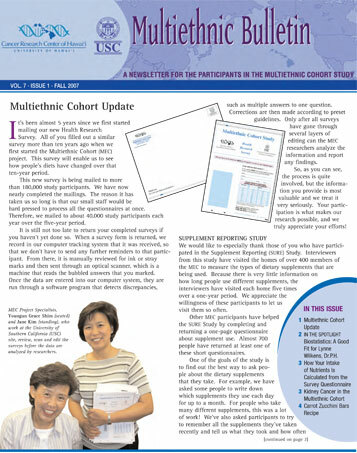 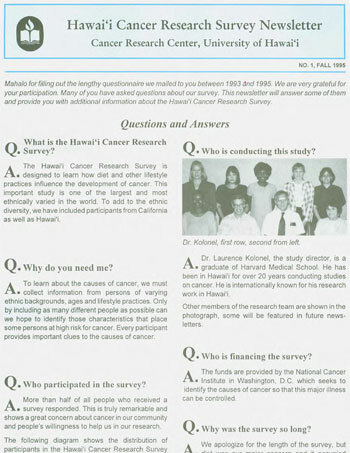 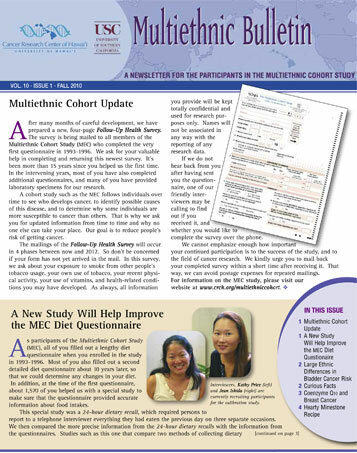 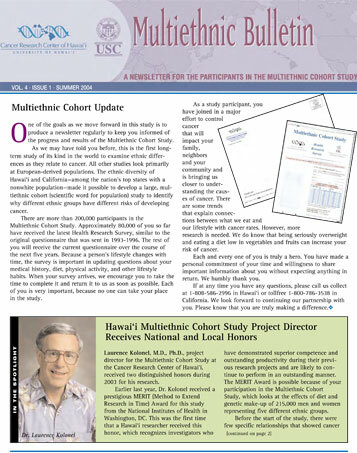 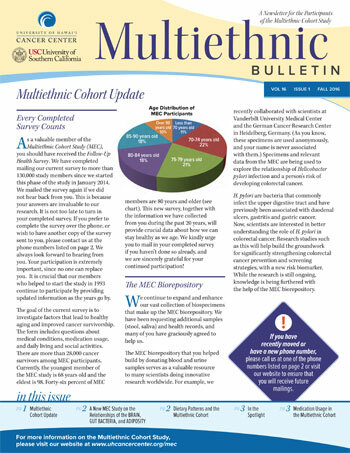 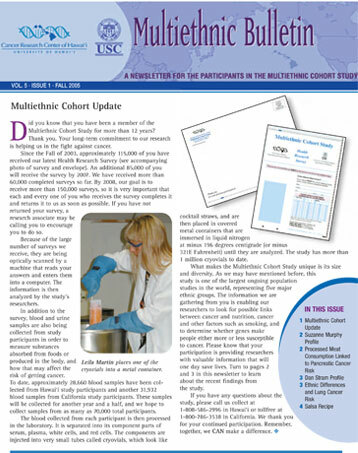 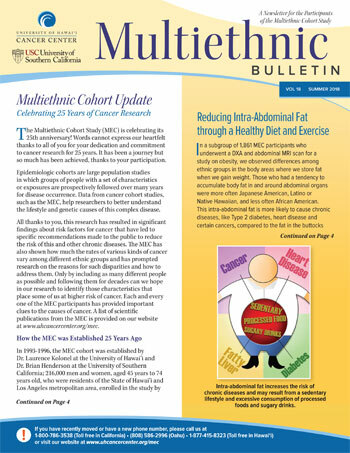 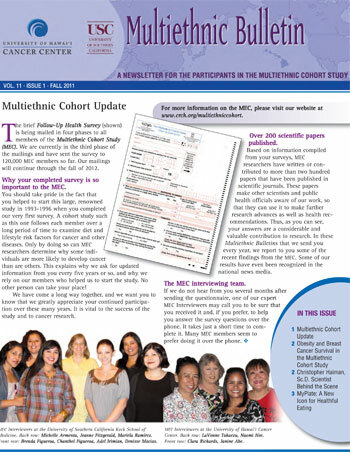 The Multiethnic Bulletins are mailed annually to study participants to provide updates on the progress of the MEC. 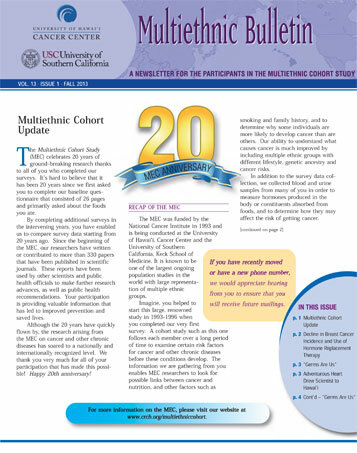 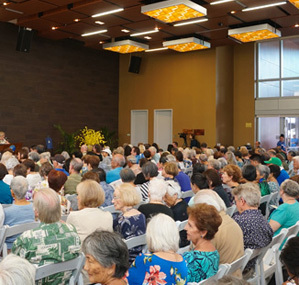 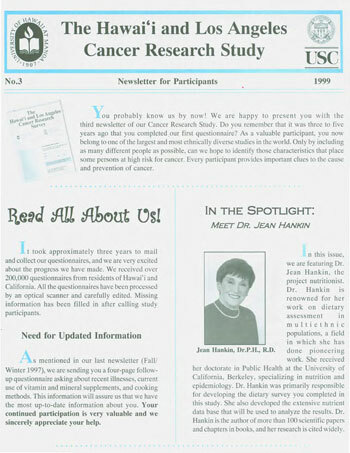 To read an issue, please click on the images or captions. 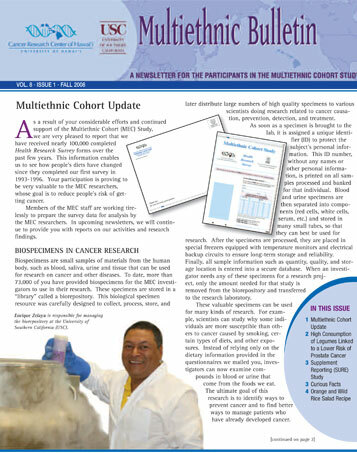 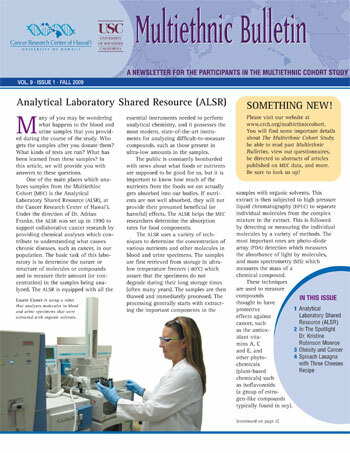 You may need to download the Acrobat PDF Reader to be able to read the newsletters.